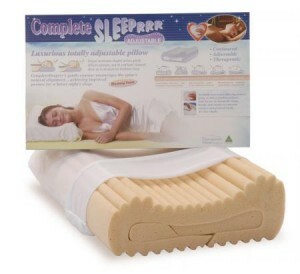 Quality soft and supportive adjustable traditional foam pillow. Features "highter" and "Lower" sides as well as contour variance for maximum individual support and comfort for side or back sleeping. The pillow's clever design encourages side sleeping which enhances breathing (and which may also behelpful in minimizing light snoring). Scalloped under-edges allow shoulder (when side sleeping) to slip snugly under pillow. Designed to help alleviate and avoid neck and shoulder stress and muscle stiffness in both 'new' and 'old' injuries. Deluxe traditional foam... "Super supportive & comfortable"
Carved from premium-grade traditional foam and valued for its superb comfort and support qualities for people of all physiques. Using open-cellular technology, it is widely known for its product longevity and economical price. Regarded by many health professionals as an ideal "marriage" between comfort and good posture. 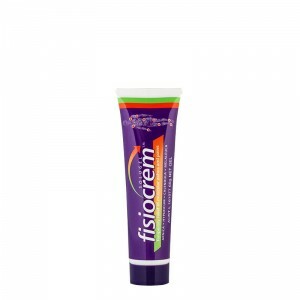 FisiocremSOLUGEL is the ideal solution for the temporary relief of muscle and joint pain. Slightly firmer feel than the Complete Sleeprrr Memory Original. Popular with males and broader shouldered individuals, or those who prefer a firmer memory foam pillow. Viscoelastic memory foam responds to your body's warmth and moulds and shapes to your head and neck giving your spine support. Recommended by chiropractors, physiotherapists, osteopaths, myotherapists, and naturopaths. Lumbar RollWide variety of uses, perfect for positioning. Provides firm support to the back area. Made with high density quality foam and finished in a washable cover. Size: 28cm x 11cm. The MedSpec ASO ankle brace is one of the most popular supports for the protection against and treatment of ankle sprains. While some inwards (called pronation) and outwards movement (supination) of the ankle is required for normal activity, excessive rolling can cause serious ankle injury. The MedSpec ASO Ankle Brace is designed to allow some movement of the ankle but the special lace-up design prevents excessive rolling, reducing the risk of an inversion or eversion injury (what is commonly called an ankle sprain). 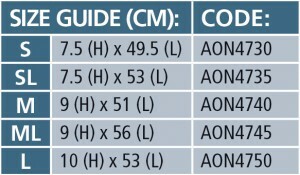 The ASO Ankle Brace from MedSpec is one of the most popular ankle braces in the world. It is very popular with people who are trying to get back into normal activity but who want to take reasonable steps to prevent re-injury. Ankles can take a long time to heal properly and the ASO Ankle Brace can provide that extra security during sport, activity or normal daily routine.